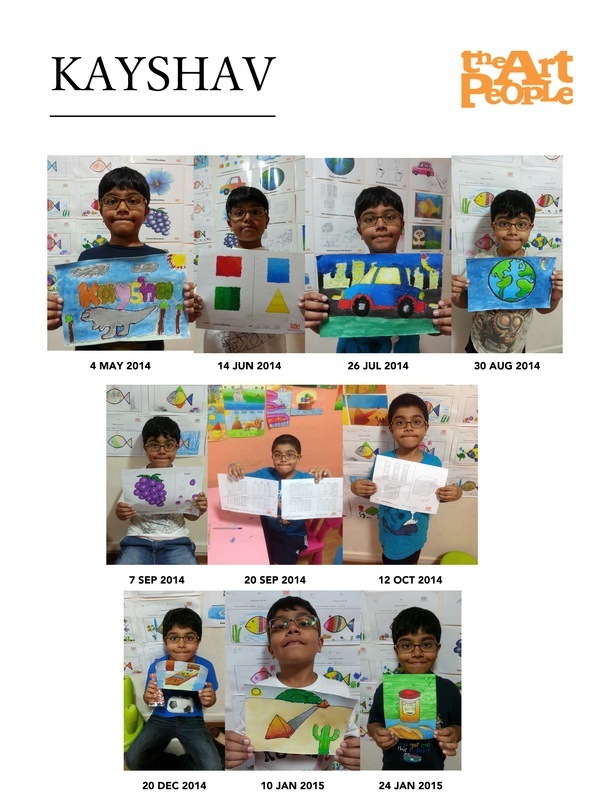 This is a featured article on Tushara's and Kayshav's learning journey at The Art People. 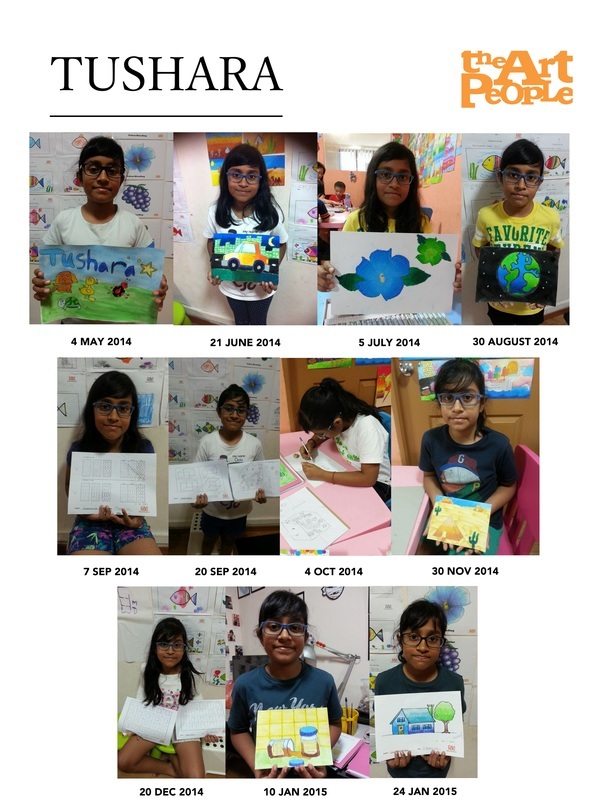 They joined the KIS Art Program in 2014 and has progressed to KIS Art program (Elementary) in 2015. They are currently still at our Ang Mo Kio Branch. 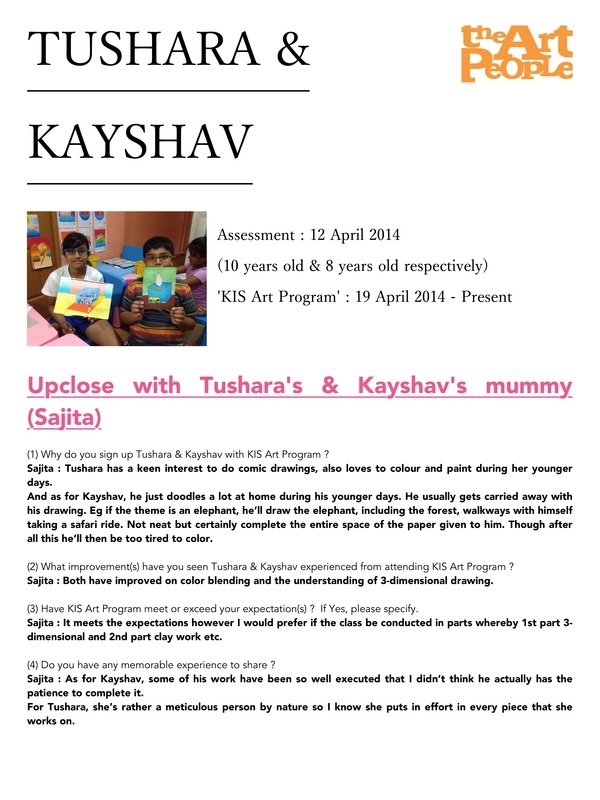 Well Done Tushara and Kayshav!